While most people today have digital cameras, film hasn’t become totally obsolete. Many photographers still use film for certain purposes and almost everyone still has negatives or slides laying around from the pre-digital camera age. The problem is, even if you have your old film stored away neatly it is always at a risk for damage or degradation. Plus, you really aren’t able to enjoy all those great moments and memories you have captured. Luckily, there are a few different options to digitize your old slides and negatives to preserve them, either by utilizing a scanning service or buying a slide scanner and doing the work yourself. Each way has its pros and cons and there are a few factors to understand before you make a final decision. This article will help you get started. If you have come across a collection of old slides or negatives up in your Grandma’s attic then you probably understand one of the main benefits of scanning and that is preservation. Unless you have all your film products sealed away in a vault somewhere, they will be affected by their environment whether that be a hot attic or a damp basement. And heaven forbid you experience a flood or fire. The sooner you can digitize, the safer your memories are. Digital images don’t degrade and will be around forever. The only risk is losing your files if your hard drive crashed or something like that but backing up your data to a secondary device will safeguard against that. Even better, load all of your digital files onto an online database or keep some DVD copies in a safety deposit box in case something really catastrophic were to happen. In addition to simple preservation, having scanned copies of all your slides lets you see and enjoy them and share them with others. You can load up your images to photo-sharing sites, paste them on Facebook or print out 8 x 10 photos to frame or even give as a gift. How many people break out their slides and do a slideshow anymore? Another thing many people don’t realize is that scanning a negative is better than scanning the photo itself. If you still have those stacks of those photo printing envelopes with the negatives in the front pocket, scanning the negatives will give you better images and more options for using the images. That is because the negative is the original while the photo is a copy – scanning the original is going to give you more detail which you will need if you want to make clear and crisp enlargements. There are two main options in film scanning: do it yourself or pay someone else to do it for you. 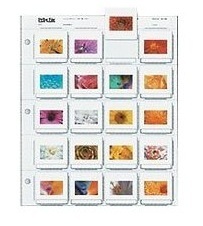 If you do it yourself you will need to purchase either a photo scanner or a slide converter. Or a specialized film scanner like an 8mm to digital converter for reels. If you use a slide scanning service, you just need to ship or drop off your film products and be done. Which option to choose mostly comes down to price and time, but there are additional pros and cons beyond those factors. 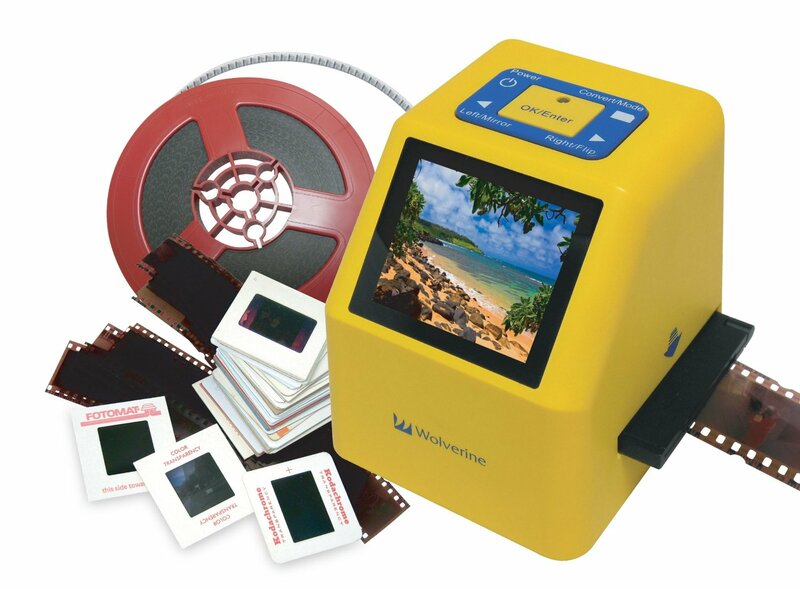 As far as the cost of scanning yourself versus using a scanning service, the biggest factor to consider is the number of slides or film strips you have. 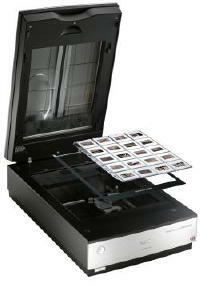 As an example, a scanning service will usually cost at least $0.30 per slide. If you have 200 slides you are looking at about $60. But if you have 2000 slides, then we are talking about $600. If you only have a few hundred slides then using a service is probably more economical but if you have a few thousand slides then you may want to reconsider. In addition to saving money by buying your own film scanner and doing your own scanning, you may also find additional uses for a scanner depending on the type purchased. A photo scanner is not only useful for scanning film and photographs but can be used to scan documents, kid’s artwork, etc. The downside to doing it yourself is the time factor. After scanning a few hundred slides you may be wishing you had just paid someone else to do it for you. If you decide you want to do your own slide scanning, you still have a few more choices to make as slide scanners are not all created equal. The best slide and negative scanners are thousands of dollars while the cheapest can be under $100. As with everything, you get what you pay for but not everyone needs lab quality scans either so let me explain your basic options for home use. The best slide scanners for use at home are the upper-end photo scanners made by Canon and Epson. These scanners come with accessories and software to handle slide, film and negative scanning in addition to photo scanning. Prices range from $90 up to $750 but the majority of scanners in this class are between $100 and $200. More money spent gets you better scanning resolution, better editing software, more slides per run and a few other features. Image converters work very differently than a scanner as they actually take a photograph of your slide and convert that into a JPEG image. Because you are taking a photograph of the slide rather than a scan, the image quality will be much lower. But the process is much faster. If you have a lot of slides you simply want to preserve with no big plans for printing and enlarging, then a slide converter will be quicker to use. These devices can be purchased for around $100. If you have decided to go with a 35mm slide and negative converter then your final decision on what to buy will be fairly easy as there aren’t too many choices. Slide converters by Wolverine are the current bestsellers but Ion and VuPoint are starting to get in on the game. When comparing these converters you will want to compare the quality of the image output which is given in megapixels and be sure to check customer reviews. When it comes to choosing a photo scanner there are many more options to evaluate. If you want to eventually print your slide scans as large photographs then you will want a scanner with higher resolution. If you happen to have a film format other than 35mm, like medium-format film, then you will need to check the specifications as not all photo scanners can handle the larger formats. Many are 35mm slide scanners only. 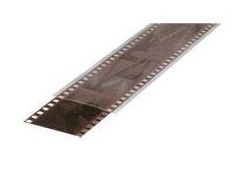 The last two things to consider when shopping for a photo scanner for slides is the capacity of the film adapters. The highest-priced scanners will hold more slides or film strips per scan which will be quicker, obviously. There are also better software includes with the higher-priced scanners like Photoshop Elements (mid-level) or even SilverFast (high-end). Each manufacturer also offers their own photo-editing and optimizing features in their proprietary software. Check out our list of the best slide scanners to see the top choices available.